If you have thousands of dollars worth of furniture sitting in your living room right now, the idea of plopping down a bean bag chair in the middle of all of it might sound terrifying. Surely a bean bag chair won’t look at home when you put it next to pricy furniture options. In some cases, this will be true. You might not necessarily want to put a hot pink bean bag chair down in your formal living area. But lambswool bean bag chairs are excellent options for those who want to enjoy the benefits of a bean bag chair without sacrificing on style. You’ll be amazed by how incredible a lambswool bean bag chair looks, even in the most formal of living spaces. Check out some of the reasons why you’ll love having a lambswool bean bag chair in your home. All of them have their advantages. But the most significant benefits of going with lambswool for your bean bag chair is that it’ll provide you with more comfort than you ever could have imagined. For those not familiar with this particular type of fabric, it’s incredibly soft and will make your bean bag chair feel like a cloud when you’re sitting in it. From the moment you throw yourself onto your beanbag chair at the end of a long day, it’ll engulf you and hug you in all the right places. You might have other comfortable seating options in your living room, including a sectional, a recliner, and more. But none of them will be anywhere near as comfortable as your bean bag chair. You’ll love the way you melt right into it every time you relax in it. The comfort that your lambswool bean bag chair provides to you will undoubtedly be the first thing that you notice. But it’ll be far from the only benefit that you’ll enjoy when you invest in it. You’ll also love the way that your new bean bag chair looks when you get it home. As we mentioned earlier, it’ll fit right in with all of your upscale furniture and make your home look a lot fancier than a house with a bean bag chair really should. Lambswool can provide any room in your home with a sophistication that doesn’t already exist in it. You’ll be pleasantly surprised by how elegant that it looks once you get it home. When people hear the word “lambswool,” they almost always associate it with white right away. That might lead you to believe that you’ll need to get a white bean bag chair if you go with this particular option. 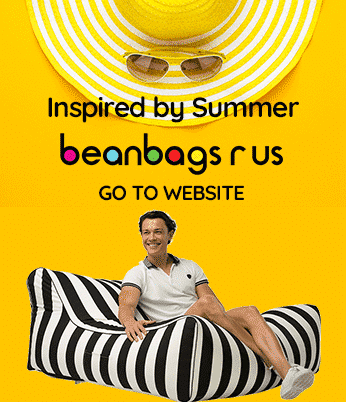 You will be able to choose a white lambswool bean bag chair if you want. But that will be far from your only choice! There are also two other great colours that you can pick from if white doesn’t work for you. There are blue bean bag chairs available as well as brown bean bag chairs. These options will give you the opportunity to pick the best colour based on your home’s current colour scheme. Before you purchase a lambswool bean bag chair, you’re going to need to prepare to hear that sentence over and over and over again. Just about everyone who visits your home is going to be blown away by how great your bean bag chair looks in it. There’s a good chance that you already have quite a few conversation pieces scattered throughout your home. From your big wooden dining room table to your plush sectional couch, you’re probably already receiving compliments from people who walk through your home. But we can pretty much guarantee that those items won’t receive as many compliments as your new bean bag chair will. People will fall in love with it from the second they first see it. Additionally, you can pick up a bean bag chair and move it wherever you want it in a matter of just a few seconds. And you won’t have to worry about scratching any walls or knocking down anything in the process. A bean bag chair will be large enough to seat an adult comfortably. But it won’t be super heavy, which means that even kids will be able to pick them up and move them into different rooms without a problem. Do you enjoy hosting parties at your home regularly? Unless you happen to have a ridiculous amount of seating in your home, one of the things you probably struggle with is setting up enough seats for everyone. More often than not, people are forced to bring up a bunch of unsightly chairs from the basement to accommodate guests. Why do that when you could invest in a bunch of comfortable bean bag chairs to give everyone a place to sit? You can put them into storage when you don’t need them and then pull them out whenever you need to provide people with seating at your home. They’ll look a lot better than whatever chairs you usually set up and earn you lots of compliments from your party guests. And while you can get these benefits with any bean bag chair, many of them will be enhanced dramatically by lambswool. For instance, you’ll feel so comfortable and relaxed in a lambswool bean bag chair that you’ll feel your stress evaporate away. You also might be able to bring down your anxiety and depression levels when you put your bean bag chair to good use. The durability is one of the surprise advantages to investing in a lambswool bean bag chair. On the surface, you might be under the impression that this type of bean bag chair won’t be able to stand up to whatever you throw at it. The bean bag chairs are so soft and cuddly that they look like they might fall apart quickly when they’re not well maintained. You shouldn’t go out of your way to put your bean bag chair to the test. But lambswool is very durable and will withstand most of the punishment that you heap on it. This longevity will ensure that your bean bag chair lasts for a long time and doesn’t fall apart on you. It’ll also allow you to rest and relax on it without having to worry about doing any damage to it. 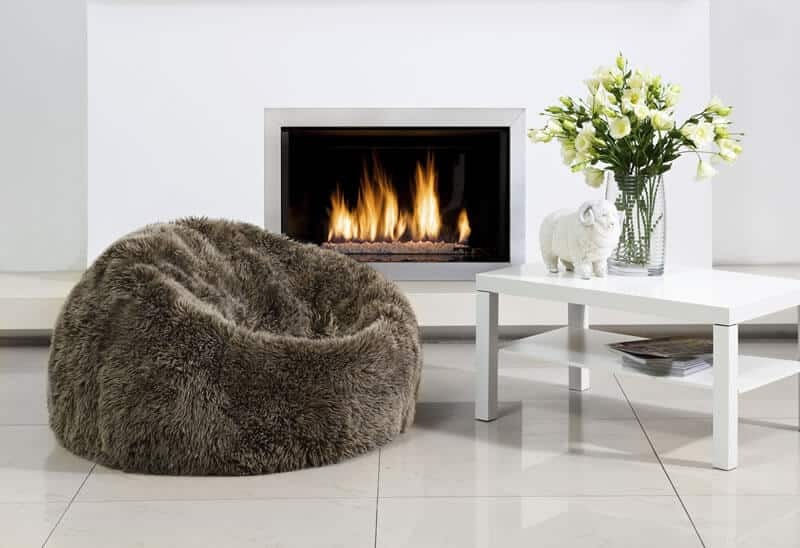 You will be able to enjoy a lambswool bean bag chair for years and years to come once you bring it into your home. It might even outlast a bunch of the other furniture that you have in your house. The only thing that makes some people hesitate when it comes to buying a lambswool bean bag chair is the price. It’ll cost you about 990 Australian dollars to buy one. That might seem steep when you consider that it’s a bean bag chair. But at this point, you’ve hopefully realised that it’s far from your average bean bag chair. It has qualities that other bean bag chairs don’t and is necessarily a high-end piece of furniture. It’ll prove to be well worth the investment you make in it. You won’t regret buying it once you put it down in your home and start enjoying it day in and day out. If you’ve been thinking about adding a new seating option to your home, you can’t go wrong with a lambswool bean bag chair. It’ll feel great when you sit down in it. It’ll look great when you position it in the right part of your home. And it’ll also earn you more than your fair share of compliments from those who come to visit your home. Contact us today to find out more about ordering one of these bean bag chairs for your house.